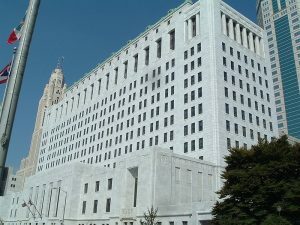 In their brief to the Ohio Supreme Court, Environmental Defense Fund (EDF), Ohio Environmental Council (OEC), and Environmental Law and Policy Center (ELPC) explain why the bailout is unreasonable and should be overturned – which would send a clear signal to other subsidy-seeking coal companies across the country. FirstEnergy first sought a bailout in 2014. The PUCO approved FirstEnergy’s initial proposal, which would have cost customers $4 billion. 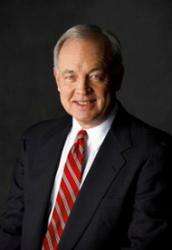 Fortunately, regulators at the Federal Energy Regulatory Commission (FERC) ruled that the bailout scheme was illegal. Because the power plants operate in the competitive wholesale market (over which FERC has jurisdiction – not Ohio), FERC declared that FirstEnergy’s captive utility customers couldn’t be forced to pay for them. In an attempt to work around the FERC ruling, the utility revised its bailout plan, and the PUCO approved it – allowing FirstEnergy to collect more than $600 million from its customers. So far, customers have already contributed over $150 million. Sadly, rather than requiring the utility to use the money for grid improvements, the PUCO’s approval is broad enough to allow FirstEnergy to send the entire amount to its parent company for credit support, such that customers would receive no benefit. Ohio law prohibits using the money to directly support the failing coal and nuclear plants, but FirstEnergy could do so indirectly. That’s because the PUCO gave the money to the utility, which could transfer all of the funds to its parent company. FirstEnergy’s parent company could then use these revenues to help out the power plants, so EDF, OEC, and ELPC are challenging the bailout at the Ohio Supreme Court. The Court will schedule a date for the parties to present their oral arguments, then we’ll wait for the Court’s ruling, expected before the end of the year. FirstEnergy is leading the pack of the subsidy-seekers, but it’s not alone: Other utilities have also sought bailouts for their old coal plants. These utilities simply don’t want the competitive market to operate the way it has been designed – i.e., to shut down old, inefficient energy technologies that are losing money. EDF has consistently opposed FirstEnergy’s bailout requests and we are continuing the fight in this case. The utility is nearing the end of its rope – FirstEnergy’s CEO recently announced that the affiliate that operates these plants will probably file bankruptcy soon. We hope the Supreme Court rejects the bailout, and sends a clear signal to other coal-heavy companies looking for handouts at the state and national level. This would show support for competitive markets around the country, and create more opportunity for clean energy solutions. This post was originally published on March 19, 2018. John, exactly how can an energy company’s plants “fail” in a regulated monopoly environment? Because utilities are compensated on a cost-plus basis, this makes no sense at all. Ohio is a retail choice state. The electric distribution service is still a monopoly, but the electric generation service is a competitive business – not a monopoly. 1. The nuclear plants represent a full 90% of Ohio’s carbon free energy. 2. The proposed subsidy is roughly 10% of what Ohioans give to solar, wind, and efficiency programs (per unit of carbon free energy produced). Missing these two points makes this article extremely misleading. So welfare out of customers pockets is ok for First Energy? But “entitlements” provided by the government for the elderly, those are bad, right?